The new soft compound belt for ARC R8.0/R8.1 and latest R8.2 car, there are 3 different sizes soft compound belt, the Front 201 in 6mm width, middle 435 in 6mm and rear 201 with 8mm width. the soft belt provides minimize friction for transmission, tested the soft belt will improve the transmission efficiency and top speed. 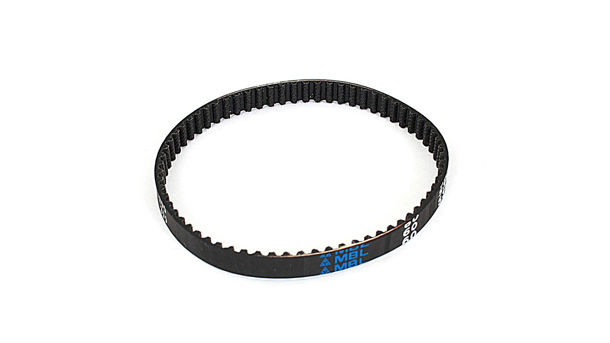 New soft compound belt for R8.0/R8.1/R8.2.